We are slowly approaching the end of this year’s regular NBA Playoffs season. As the 73rd edition of the league, this year’s season began on October the 16th and it is scheduled to end on the 10th of April. The NBA playoffs will officially begin three days after the regular season ends. Millions of basketball fans all over the world will get to enjoy this postseason tournament from 13th of April until June. You can follow live scores and statistics of all NBA playoff matches right here on xscores.com, as well as easily check game schedules and fixtures. The NBA playoffs consist of 16 teams with most wins during the regular season of the National Basketball Association League. The playoff tournament consists of best-of-seven series. Every team that has four wins advances to the next round of the playoffs and so on, until the tournament leads to NBA finals. Speaking of the finals, the defending champions of last year’s NBA title are Golden State Warriors. 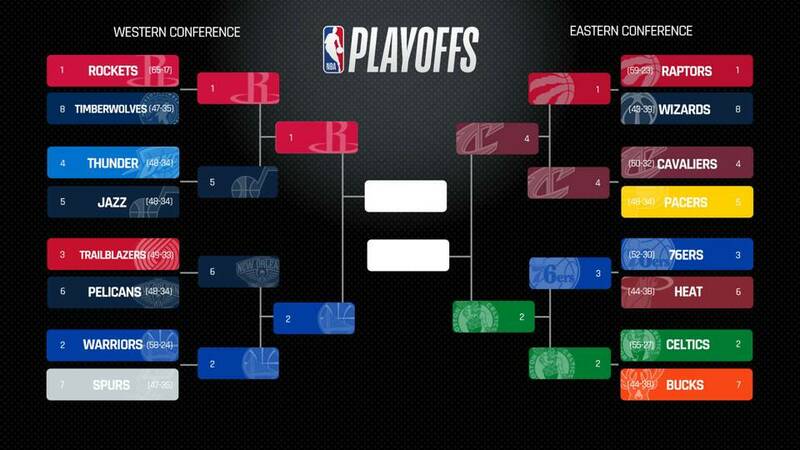 We are eagerly waiting for the playoffs to begin to find out which teams are going to compete in the NBA finals. Interestingly, Milwaukee Bucks became the first out of 30 NBA teams to earn a spot in this season’s playoffs. They qualified for the playoffs on March 1st, 2019. Make sure to check back regularly on xscores.com for a full list of teams that will participate in the postseason tournament. As one of the most popular sports leagues in the world, NBA is followed by millions of people who are eagerly waiting for the playoffs to start. If you don’t have time to watch every single playoff game, stay up to date by following live scores and statistics on xscores.com. We provide immediately updated details and results of every NBA match, including the playoffs and the NBA Finals.